Xiaomi is more than just a smartphone company. The company has launched a wide range of products including Mi TVs, MiPowerbanks, Mi Earphones, Mi Air Masks, Mi Air Purifiers etc. Xiaomi has today launched a new camera after teasing it on Twitter. True to what we predicted earlier, the latest product from the company is a home security camera, the “Mi Home Security Camera Basic 1080p”. The product is set to go on sale on Mi.com from tomorrow starting at 12 noon. The company claims that the camera will provide “intelligent detection” along with “excellent security surveillance”. The Mi Home Security Camera Basic supports 1080p video recording which records at 20 frames per second and features a 130-degree wide-angle lens. The camera packs artificial intelligence (AI) powered motion detection engine,10-meter range in the infrared mode for night vision, and a talkback feature as well. Other features include secure local storage via microSD cards, and cloud NAS storage as well. 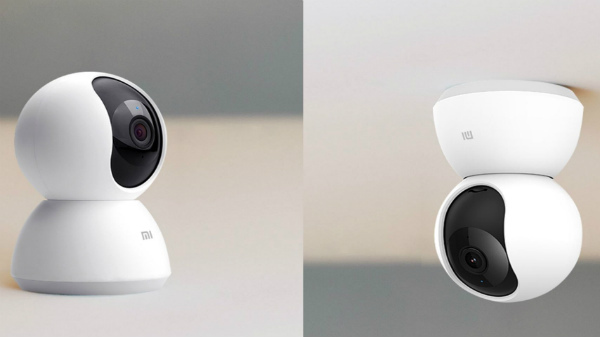 The Mi Home Security Camera Basic also comes packed with advanced AI motion detection feature and superior algorithms which Xiaomi says is capable of filtering out false alarmsincluding curtain movements, insects or changes in the light. The Security Camera Basic also includes features like intelligent detection function. This feature helps users to get push notifications when there’s some movement. Another interesting feature that the new Mi Home Security Camera Basic comes packed with is Talkback. Xiaomi says that the Talkback feature improves the overall voice calling experience. The camera also includes a feature called picture-in-picture mode which basically enables users to check on their sleeping baby while watching movies or playing a game.